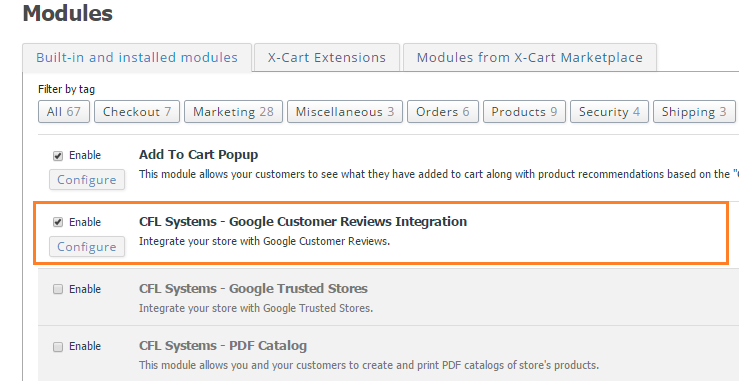 Google Customer Reviews Integration module is an X-Cart 4 add-on that allows you to integrate your online store with Google Customer Reviews program, show its badge on your website and build better shopping experience for your customers. This module is fully automated and enables you to define the Google Customer Reviews badge position. Installs as a module so you can easily turn it on/off when required. Easy, fast and detailed configuration right from within X-Cart admin. Automatic code placement for Google Customer Reviews badge on every page as well as on order confirmation page as required by Google. 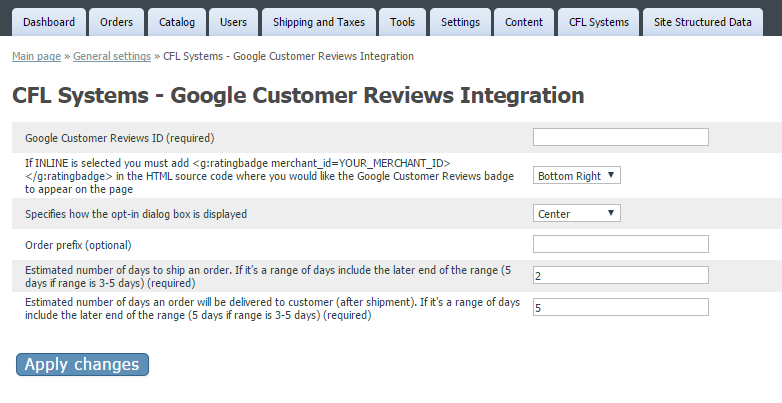 The code also allows you to define the Google Customer Reviews badge position. This module works for all countries Google Customer Reviews program is available.